There is super power packed in this small scanner. 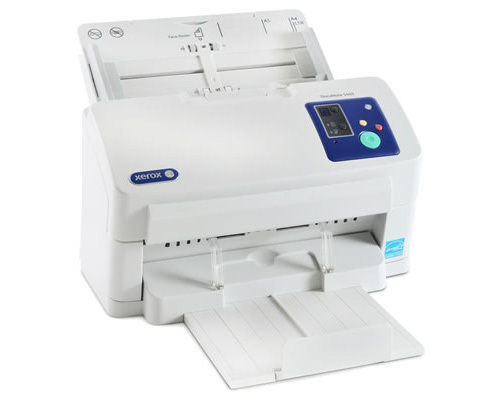 Capable of scanning a variety of documents, including long, small, thick and thin sheets, the Xerox® DocuMate® 5460 will greatly boost the efficiency of your office. Conveniently small enough to fit on the reception desk of a medical office or bank, the scanner is designed to quickly scan customer or patient ID cards and other documents, enabling real-time information sharing to provide fast, accurate customer service. More information on the product datasheet (pdf).